I have successfully setup a working PyCharm/Vagrant/Django environment on Mac OSX. However, I've got stuck on how best to connect to the Postgresql database on the Vagrant machine for my Django project. 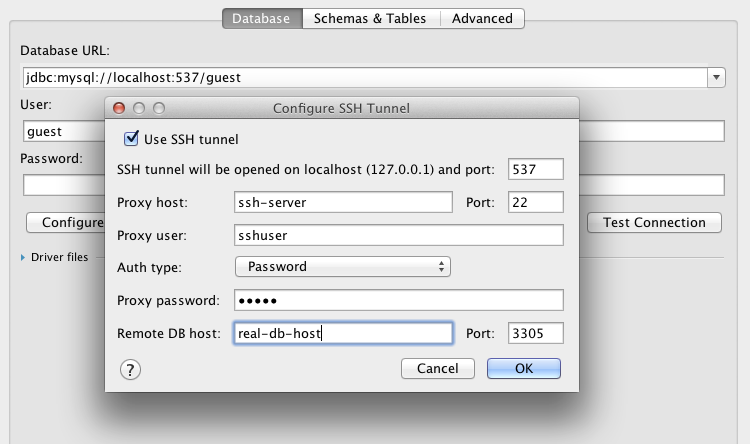 Obviously it needs to be done through the SSH Tunnel setting in the Remote Database options, but I can't get the various port/host configurations to work correctly. Currently the configuration UI is not user-friendly so we are going to improve it soon.